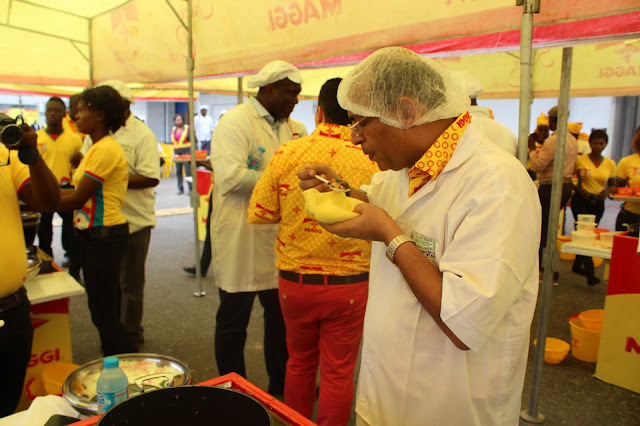 Dobbys Signature: Nigerian Food Blog I Nigerian Food Recipes I African Food Blog: Nestlé Nigeria Factory Tour (photos) - Take a sneak peek on street foodie waka. Nestlé Nigeria Factory Tour (photos) - Take a sneak peek on street foodie waka. How are y'all doing? Hope good! 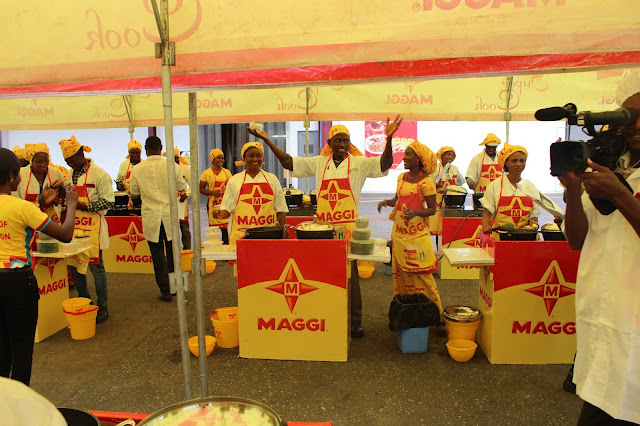 Today, i'd be bringing you pictures from the maggi factory tour that occurred recently. Even today, i still feel the euphoria from the wonderful tour. Is it just me is there something about food factories that keeps one excited. 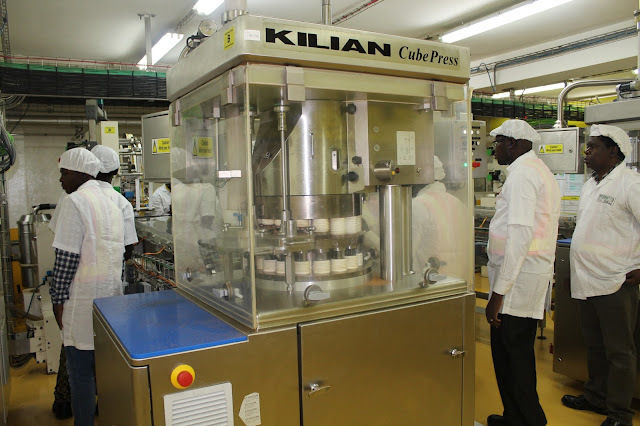 The last time i was in a factory, i was a lab worker making beer, spirit and malt, this time i was more like a tourist in a food factory which made it even more exciting. I love excursions and taking trips once in a while so this was like an icing on the cake to help ease off the stress accumulated during the week. What was more surprising is the fascinating fact i learnt that maggi is made from soybeans...like are you kidding me? Who knew? Infact, Soybean is a key element in the ingredient mix in Maggi production to provide a distinctive fermented flavor.Most of the soybeans and agricultural raw materials used for the production are sourced from many farmers in the country which means Nestlé has a huge stake in rural communities in Nigeria. 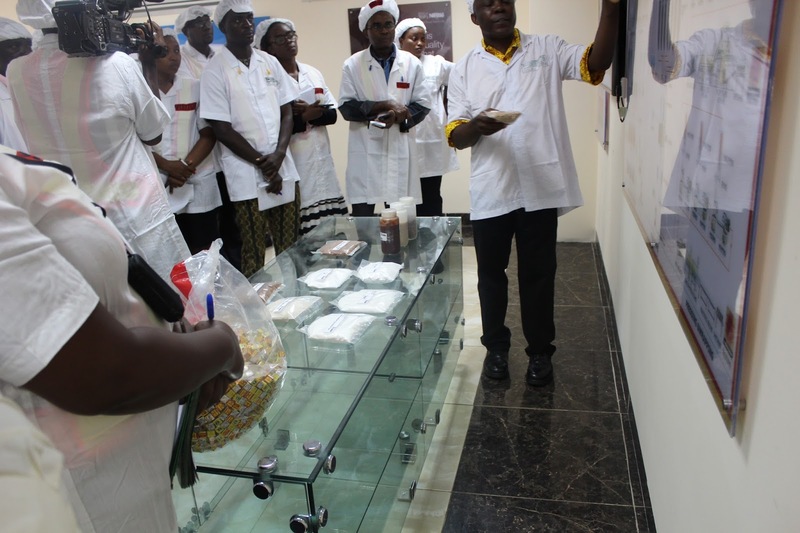 During the tour of the factory located at Agbara, the Managing Director and Chief Executive of Nestlé Nigeria, Chief Dharnesh Gordhon said that the new range of fortified bouillon cubes introduced in 2012 has been fortified with iron and in 2014, Nestlé reached 18.3 million households in Nigeria with iron-fortified Maggi cubes. Also speaking during the tour, Nordine Meguini, Category Business Manager, Culinary said in addition to improving the nutritional value of Maggi by adding micronutrients, Maggi product portfolio also promotes home cooking and consumption of vegetables through the home garden initiative and Maggi Star Kitchen. 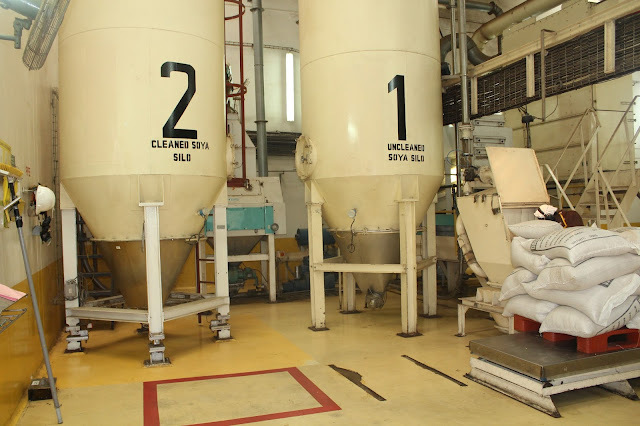 Silos used in storing soya beans used in production. Maggi cubes sealed and ready to be packed. This maggi kitchen travels to towns and cities week by week, providing information about balanced diets, micro-nutrient deficiencies and the importance of culinary hygiene through interactive cooking demonstrations, women’s forums, group discussions and presentation on micro nutrient fortification. Although i didn't get a chance to film everything due to the strict management system put in place to check the quality and safety of products throughout the manufacturing process, i did get a chance to sample most of the meals that were made with the seasoning and it was "fantabulous". Did i also mention that we cooked a really simple, tasty meal known as Fish in green sauce, seasoned with Maggi cubes....It was yummy! Now lemme make you hungry a little. Feed your eyes with the dishes prepared with maggi seasoning below. Goodie bag content from the #Nestle Nigeria factory tour today on #Streetfoodiewaka. Wow! I love tours and excursion and can see you are having fun. I haven't used maggi in ages and this post is making think about switching. Wow! this is nice! Between, why is it difficult to comment on your blog dobby. When is the next tour? I hereby volunteer to carry your camera bag and be your PA! LOL!! 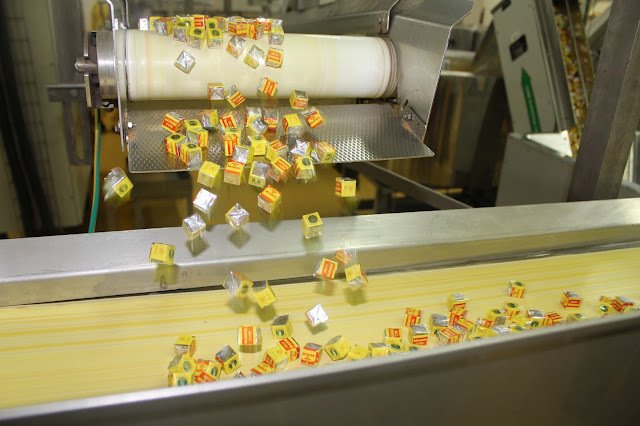 Who knew that some much goes into the production of Maggi cubes. Nice tour! keep doing us proud dear, you rock! Hey, I like your post. I really like maggi. Nestlé Nigeria Plc, the main nourishment, wellbeing and health multinational organization has uncovered that it made more than N43.9 billion as pay on MAGGI mark alone in Nigeria in the year 2012 passing by the N2 retail cost for MAGGI in the Nigerian marke.